Home > Blank Mouse Pads Wholesale - All Sizes, Shapes & Colors! 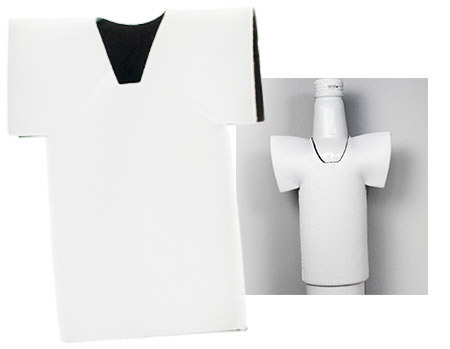 > T-Shirt Bottle Insulator/Koozie Poly Top/Neoprene Rubber 6"Hx4 5/8"
This T-Shirt Shape Bottle Insulator is well made with secure side stitching and slips over standard size beer bottles. It’s a hit at company functions, picnics, boat parties & alike!